Is there any middle ground left in American politics? All the evidence from recent controversies seems to indicate that the answer is no. But as much as attitudes towards U.S. President Donald Trump are defining political debate these days, the old culture-war battles, such as the one about abortion, are still there ready to stir up even more anger. In recent years, conservatives eager to overturn the U.S. Supreme Court’s 1973 Roe v. Wade decision that legalized abortion throughout the country have sought to increase restrictions on the procedure. Most of those efforts have focused on efforts to ban late-term abortions. But with Trump appointing two conservatives to the court who might overturn Roe, it’s created something of a panic among liberals. They are now seeking to shore up the right to abortion on the state level. That led the state of New York to adopt a Reproductive Health Act that, among other things, removed existing restrictions on late-term procedures. The new law allows abortions to be performed up until birth if a midwife or doctor deems the fetus not to be viable or if the health of the mother is threatened in some way. But the vague language of the law could actually allow those asserting some sort of mental distress to terminate a pregnancy that went to full term. In effect, that legalizes abortion-on-demand up until 40 weeks. While the governor claimed that he was misunderstood, critics rightly pointed out that he was justifying a practice that was indistinguishable from infanticide. Not surprisingly, Jewish groups have also been weighing in on the issue along predictable lines. Orthodox groups were deeply critical of the New York law, while the Reform movement and secular groups like the National Council of Jewish Women are supportive. Nevertheless, the positions of the denominations are not as simple as merely lining up on the pro-choice or pro-life sides. Unlike Catholicism, Jewish religious law mandates that the life of the mother must be the priority even it might cost the life of the unborn child. That means that, unlike Catholics and many evangelical Christians, Orthodox Jews do not oppose abortion under any and all circumstances. 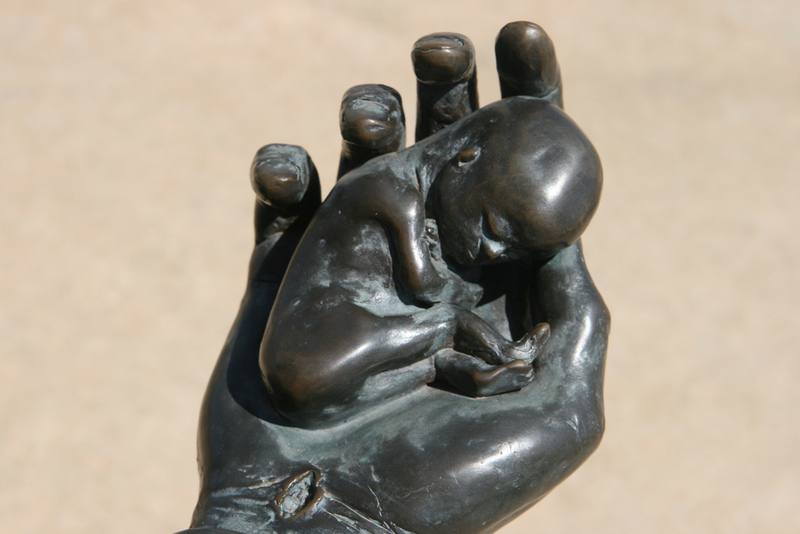 By the same token, the Reform movement does not condone all abortions in theory. However, as a matter of public policy, Reform and other liberal movements oppose all restrictions on the right to abortion. So as this debate heats up, Jewish organizations and their supporters are lining up on opposite sides of a debate that is growing nastier with each passing day. That’s a missed opportunity for the Jewish community to attempt to show the nation that a middle path on these abortion battles is actually far more representative of public opinion than the activists on the extremes admit. Poll after poll has shown that the overwhelming majority of Americans believe abortion should be legal in the first trimester. But equally large majorities are in favor of restrictions on late-term abortions. In 1973, when Roe was decided, ultrasounds portraying babies in utero at various stages of development were unknown. Nor had medicine advanced to the point where extremely premature babies had a chance of survival. But as with virtually every other aspect of medicine, technology and decades of research have changed our understanding of the subject. As the New England Journal of Medicine and The New York Times have reported, even infants delivered as early as 22 weeks have a decent chance of survival. Given the incontrovertible fact that babies who are still being legally aborted could live outside of the womb, the moral rationale for opposing late-term-abortion bans has disappeared. Yet in order to justify opposition to calls for a ban on abortion after 20 weeks or support for proposals to legalize abortion until birth, the pro-choice camp must pretend that the revolution in neonatal care that has occurred since Roe never happened. More to the point, those who have treated opposition to any limits on abortion as a litmus test of support for the rights of women must come to terms with the fact that their extremism on the issue has led them to defend the indefensible, as the governor of Virginia has wound up doing. One doesn’t have to oppose abortion in the early stages of pregnancy to understand that the discussion on late-term procedures, such as those now permitted by New York and the one being considered in Virginia, must be informed by science. The moral and political landscape of the abortion debate has been altered by the medical advances of the last half-century. To deny that this is so requires a determination to ignore science that far exceeds even the positions of the most extreme global-warming skeptics. The willingness to justify abortion up until birth is taking us into a moral vacuum created more by politics than any legitimate concern for the rights of women. It’s one thing to say women must have a right to choose. But to assert that women or doctors should have a right to terminate the life of a 40-week-old fetus or a viable infant or even to contemplate the death of an unwanted child born alive despite an attempted abortion—as was the case of the murders committed by Philadelphia abortion provider Dr. Kermit Gosnell, whose notorious case illustrated what happens when no moral limits are placed on such procedures—is to lead us down the path to a moral abyss. It is precisely because Jewish religious law on abortion is more nuanced than those of other groups that our faith leaders have the standing to condemn such extreme positions. Rather than engaging in the usual left-right arguments in which liberals and conservatives support their usual allies, Jewish groups should be seeking to help Americans find a middle path that would oppose laws such as those in New York and Virginia, rather than blindly supporting them. No person of faith should stand by silently and support measures that condone the moral equivalent of infanticide.